From the Mollie Brown Observatory . . . 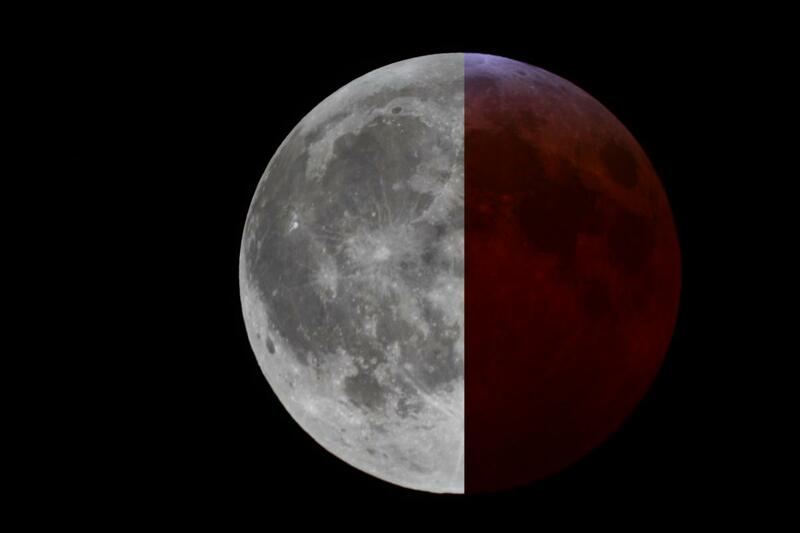 I merged these pics together to get an idea of just how dim the moon got during the eclipse. 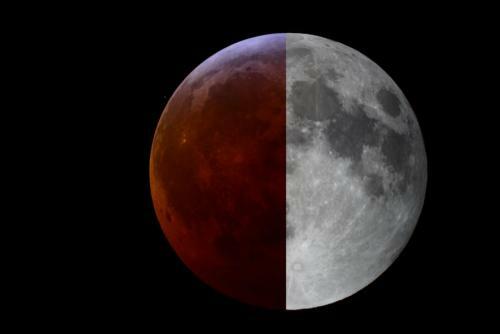 The eclipsed half is during the middle of the eclipse and the bright half is the full moon after the eclipse. Pretty dramatic change. Interesting comparison. This eclipse seemed darker than some I have seen in the past. The moon may have been on the more distant part of its orbit, allowing a deeper eclipse than most. It was really pretty, even though I did spend most of my time testing with the Polaris.